Have you ever dreamt of sleeping in a treehouse? I believe that both for kids and grown-ups, this experience will always sound charmingly thrilling, right? Doing some research into the best places to go glamping in Italy, I found out the Dolomiti Village, in the Carnic Alps of Friuli Venezia Giulia (between the villages of Comeglians and Ravascletto). 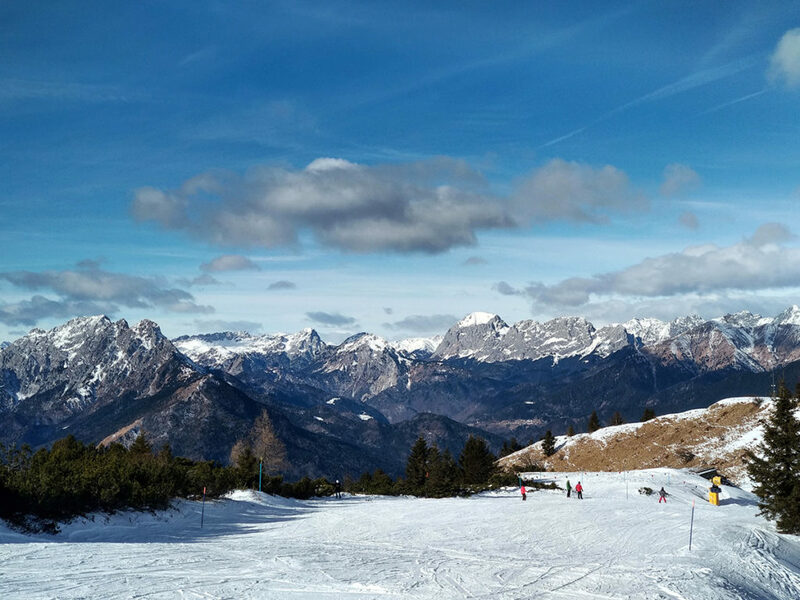 Completely surrounded by nature, the Dolomiti Village is the place that will make your childhood dream come true. Today, I’m going to share with you my insights about the Dolomiti Village, where I was welcomed for a first-hand experience with its unique accommodations. At the Dolomiti Village wood is the undisputed protagonist. 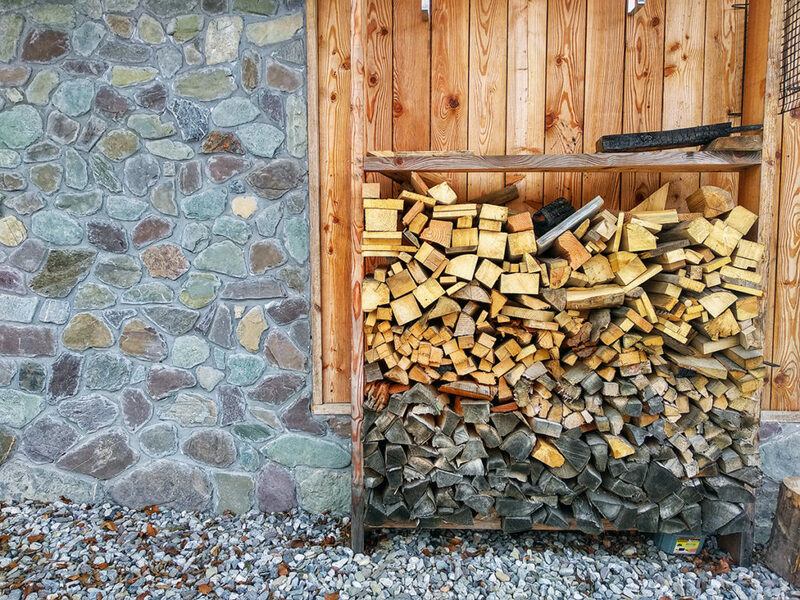 Silvano Martin, the owner, strongly wanted wood to be the material to build up the whole village, which definitely contributed to its fairytale-like atmosphere! 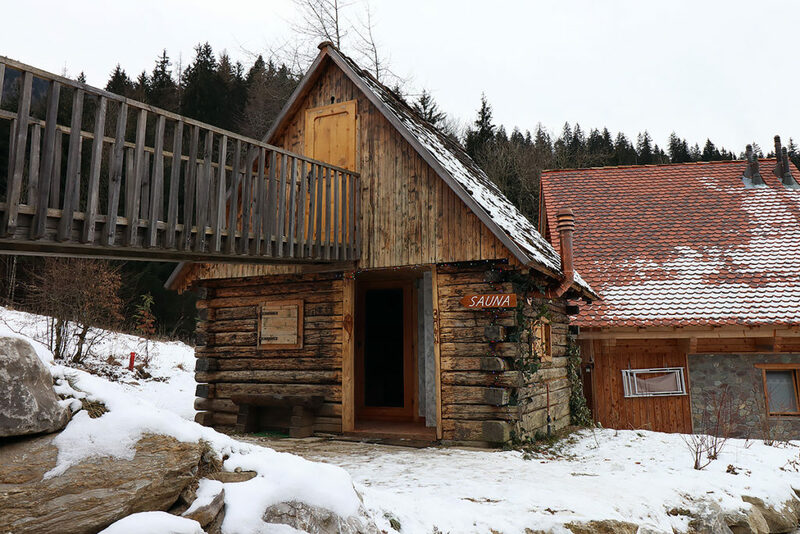 Not less than 1000 cubic meters of wood were used to build the 20 chalets and the treehouse. When I was there, I could appreciate the perfect harmony between the architecture of the Dolomiti Village and the natural context it is located in. 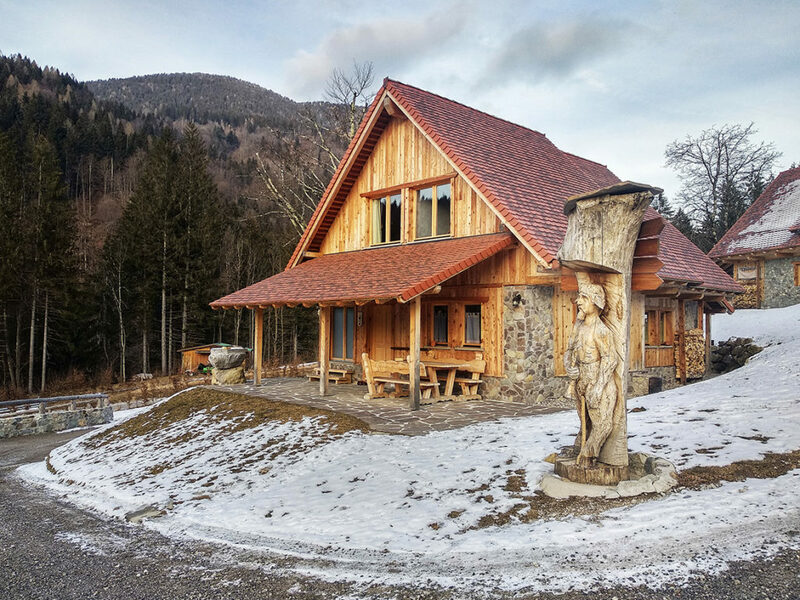 In a 100% natural location, it is surrounded by woods and silence, but at the same time, it is just a short distance away from many points of interest both for winter and summer. Here you can unwind, take a deep breath and enjoy some days of pure relax. As I mentioned before, I had the chance to stay in a treehouse, something I couldn’t wait to try! Maybe because one of the first book I read as a kid was indeed “The Treehouse” by the Italian writer Bianca Pitzorno? Who knows… Anyways! 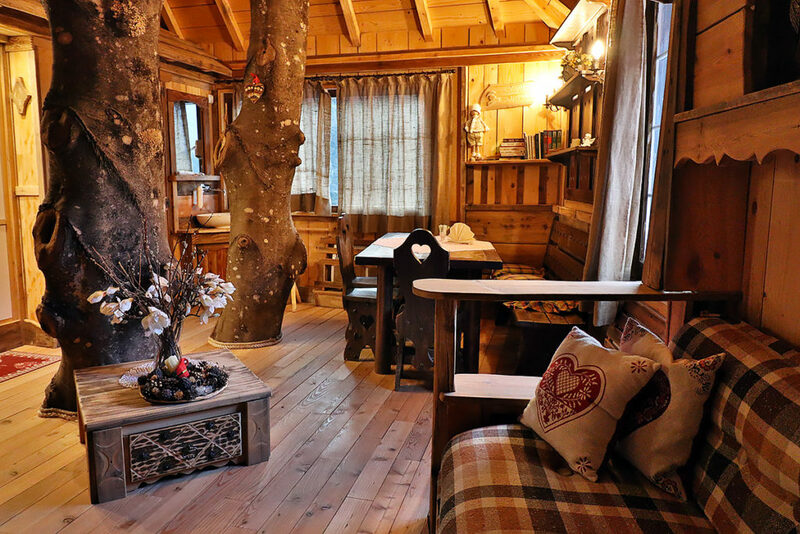 The treehouse of the Dolomiti Village is built on a beech, whose branches cross the living room. This makes the experience even more authentic and, trust me, you’ll end up constantly thinking: “OMG! I’m sleeping on a tree for real!”. You could imagine a treehouse super basic and minimal. At the Dolomiti Village you’ll actually have all the comfort of a real house: the living area is well furnished with table, tv, sofa and the kitchen, while the double bed is located on a wooden mezzanine. The view from its large windows will just be the best way to start your day. As you might remember, in the past I stayed in other unusual accommodations, but this was my very first time in a treehouse and, after all, a dream coming true. 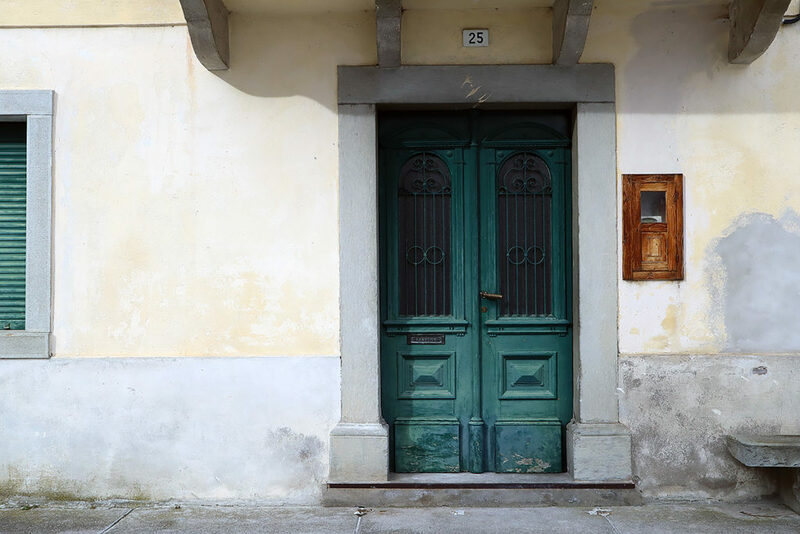 Not to mention that this kind of accommodation is quite hard to find in Italy. For this reason, I recommend to book in advance this rare gem in the Carnic woods. Whether alone, as a couple, or with children, the Dolomiti Village meets the needs of all travelers. 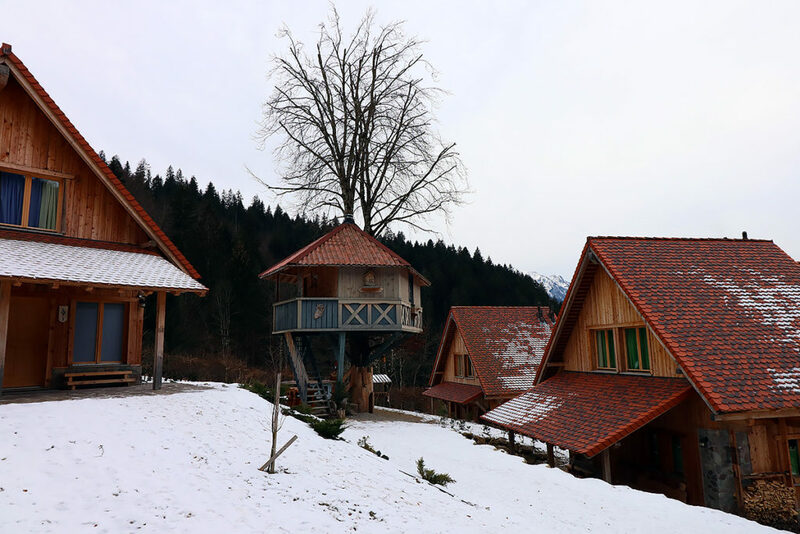 Indeed, in addition to the treehouse, there are also 20 chalets of 80m2, which can host from two to seven people. Arranged on two floors, these chalets will make you feel at home: with features such as a private Jacuzzi and an outdoor veranda (perfect for summer night stargazing), they redefine the concept of hospitality. The Dolomiti Village has just everything you might ask for. It’s all right to switch off and take a break from the world… but some additional comfort has never hurt anyone. 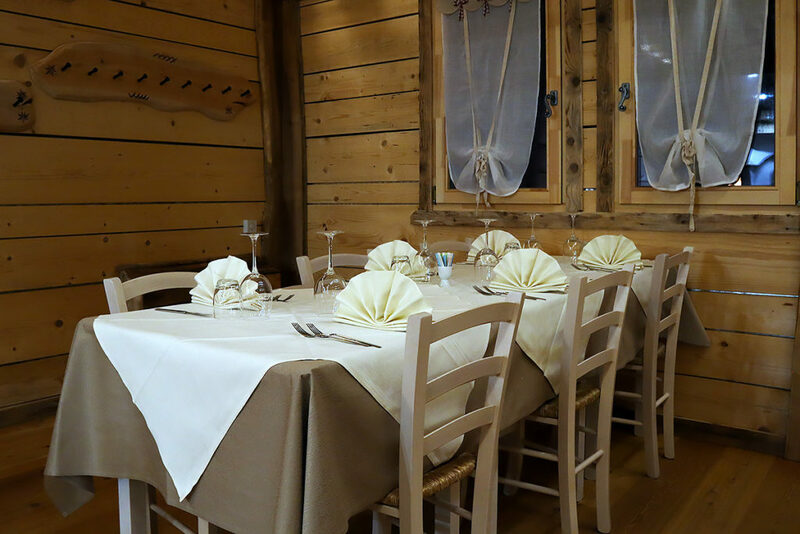 In December 2018, an excellent traditional restaurant was inaugurated inside the village. I had dinner there twice and I was impressed by the Carnic cuisine. So yummy! Insider tip: take a look beyond the reception desk and you’ll find a small shop selling local products, such as handicrafts and books about the culinary tradition of the area. Relax has been the fil rouge of this post so far. Well, that’s not all, because the Dolomiti Village has even more to offer you. Indeed, among the chalets, you will find 4 cute sauna huts. You can go to the one closest to your accommodation and enjoy some time in the warmth, maybe staring at the snow outside the hut, as in my case. But I also mentioned that there was something new coming soon… Between spring and summer 2019 the Dolomiti Village is opening to its guests a brand-new wellness center! A spot dedicated to absolute relax, with Turkish baths, saunas, emotional showers, Jacuzzis and personalized treatments. I had a sneak peek and, trust me, it’s gonna be amazing! There are many attractions close to the Dolomiti Village. For the winter season, I recommend the Zoncolan ski area, located just 2 km away. About this, you might want to have a look at the offers of Promo Turismo FVG. In the other seasons, you can walk through the Panoramica delle Vette, a mountain road that became famous because in 2011 it was supposed to be one of the stages of the well-known bicycle race, Giro d’Italia, but it got cancelled. In the area there are also traditional villages, where time seems to stand still. Fun enough that one of those villages, Pesariis, is actually called “the village of clocks”. According to written sources they’ve been building clocks for civic and bell towers since 1752. Pesariis looks like an open-air museum, a monumental path along alleys where you can spot more than 10 clocks belonging to different ages. 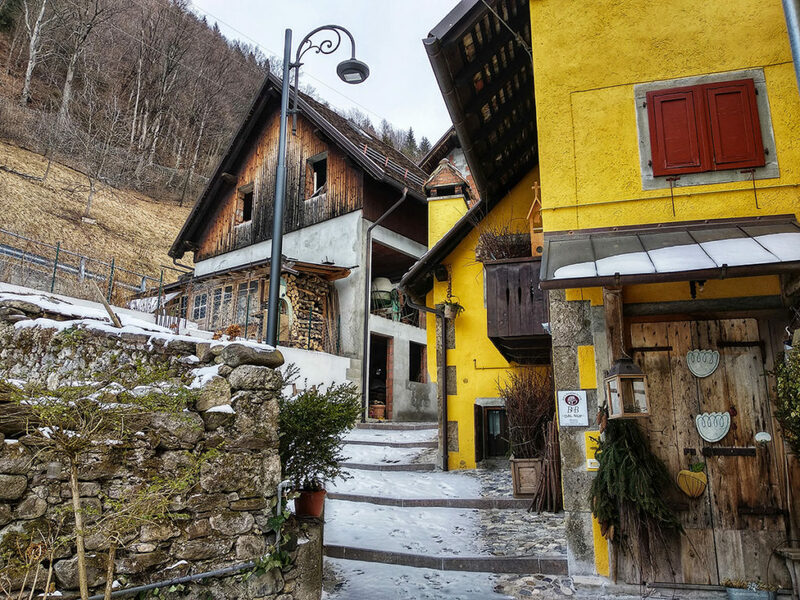 Still about villages, at Christmas time don’t miss Sutrio, the “village of Christmas cribs”. Traditionally populated by wood carvers, Sutrio is where every year artisans expose their beautiful handmade nativity scenes. Finally, don’t forget that you can choose among a 48h, 72h or weekly FVG Card, which allows you to take advantage of many discounts and benefits on several activities in the Carnic area and in the whole region.